Model # PA-SWL-1 includes MLB-2 Long Wire antenna matcher, 50 feet of insulated wire and 25 feet of support cord and a end insulator for the antenna. Great for short wave listening and works as a bent antenna, sloper, inverted “L” antenna (Vertical and horizontal) or as a straight vertical antenna. For best results use a counterpoise for the lower frequencies. 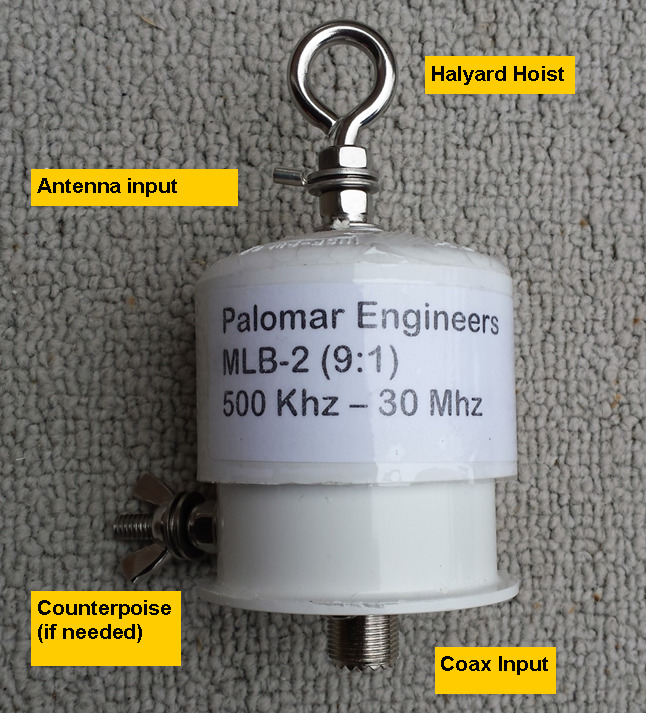 Palomar Engineers Magnetic Longwire Balun has been redesigned for shortwave listeners and others needing to match a long wire antenna to 50/75 ohm coax feed line cable. Specifications: Frequency: 100 KHz – 30 MHz. Input: 50/75 ohms for coaxial cable. Output: High impedance. Connector: SO-239 (for cable) wingnut/solder lug for wire lead (for antenna). Mounting: Stainless steel eyebolt. Size: 2.5” diameter. Case: White PVC sealed weatherproof. 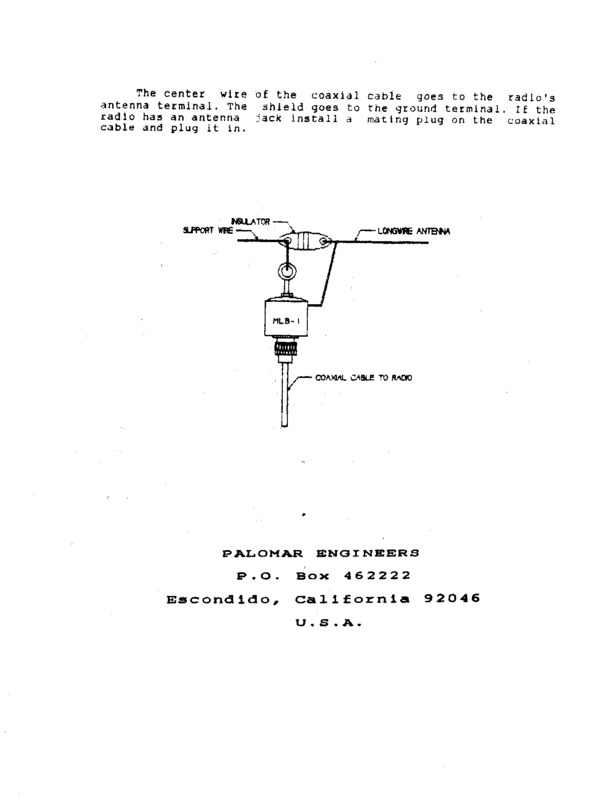 External ground bolt with wing nut for external counterpoise or separate ground. The long wire antenna often has a high impedance in the 500-1000 ohm range and the MLB-2 transforms this high impedance close to 50/75 ohms efficiently coupling the received signal to the receiver. A long wire antenna with a matching unit such as the MLB-2 often has a 12 db (2 “S” units) better signal than a long wire without a matching unit.